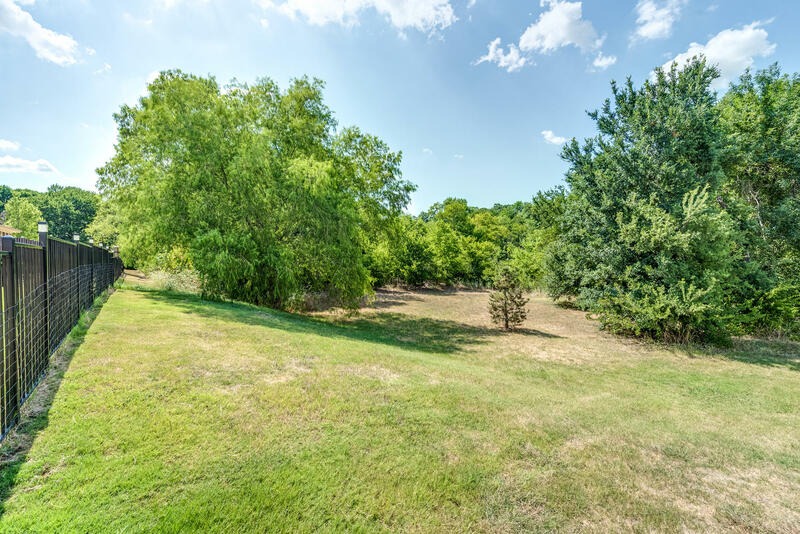 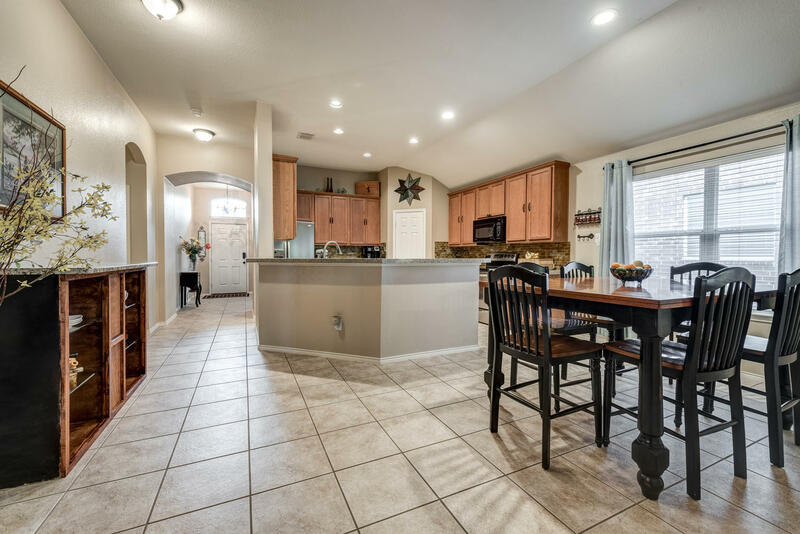 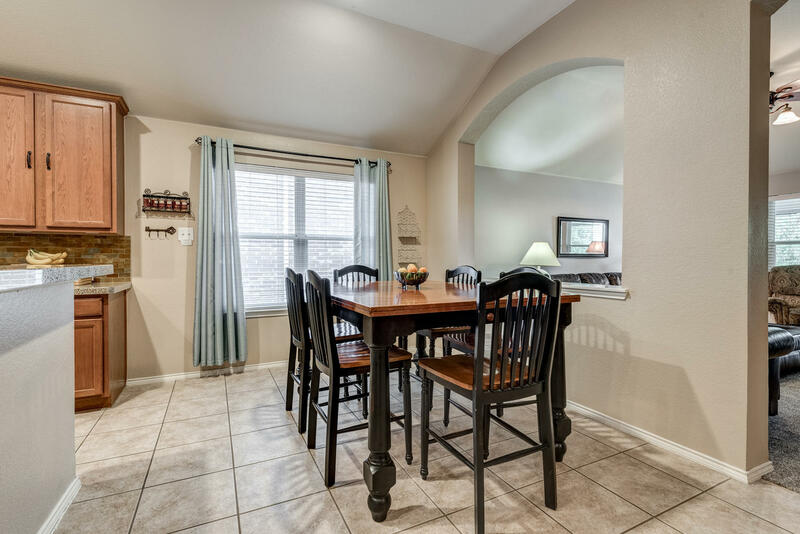 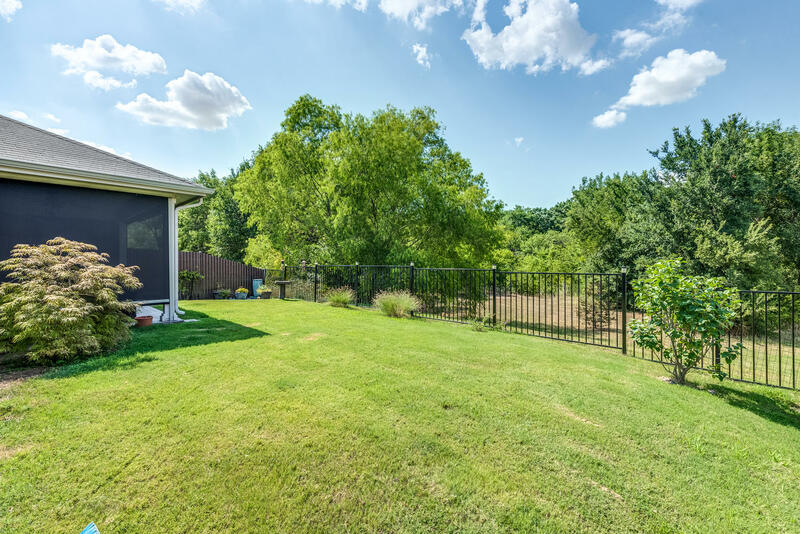 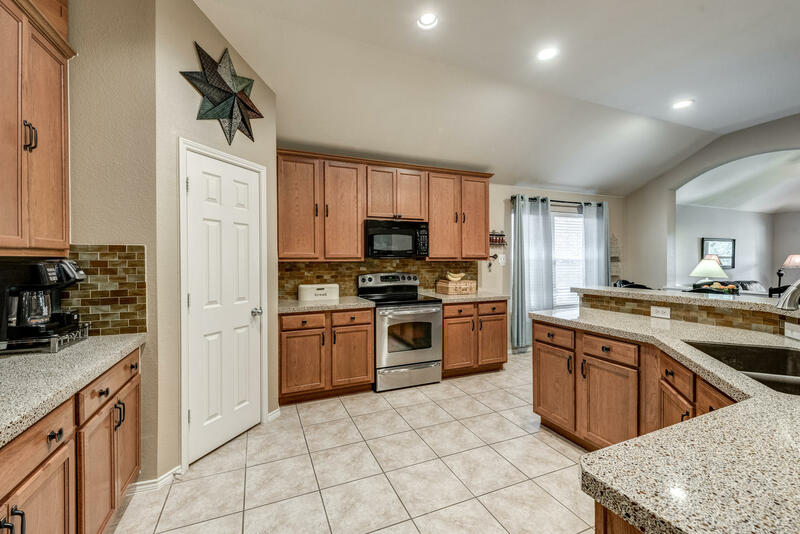 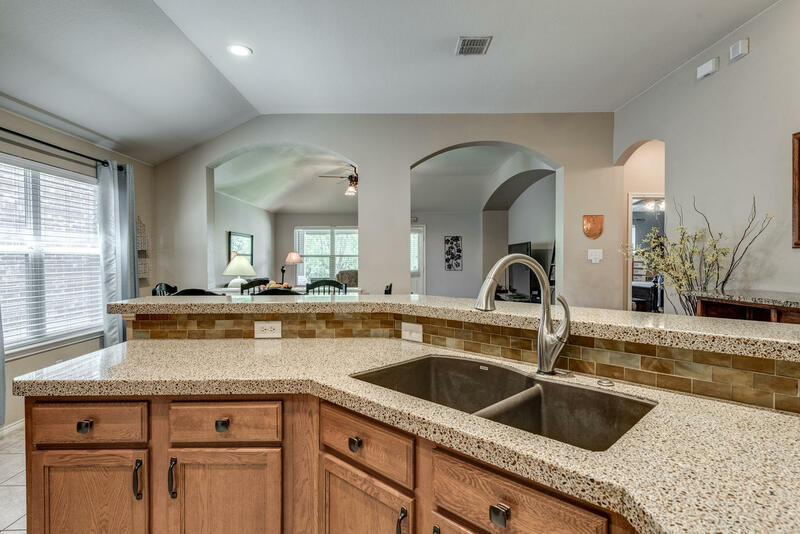 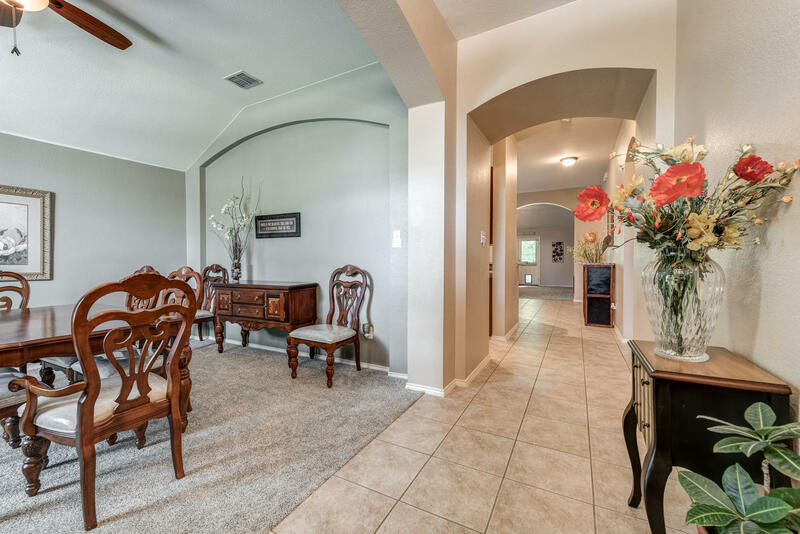 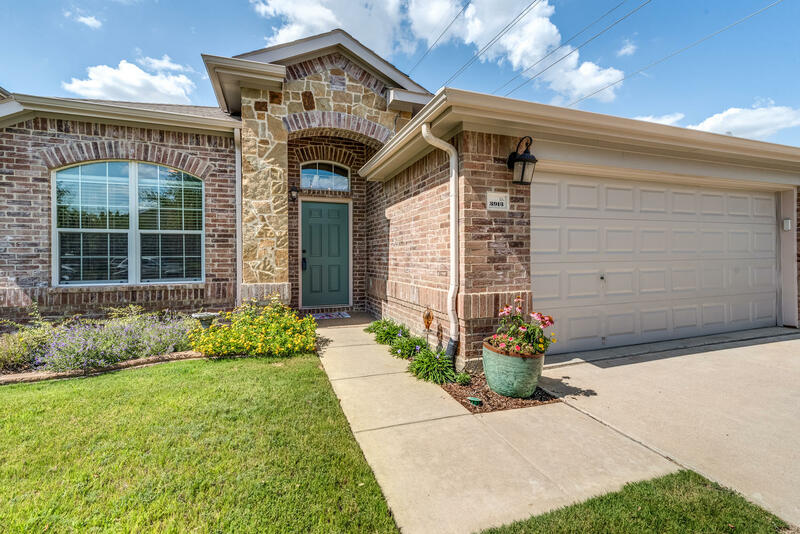 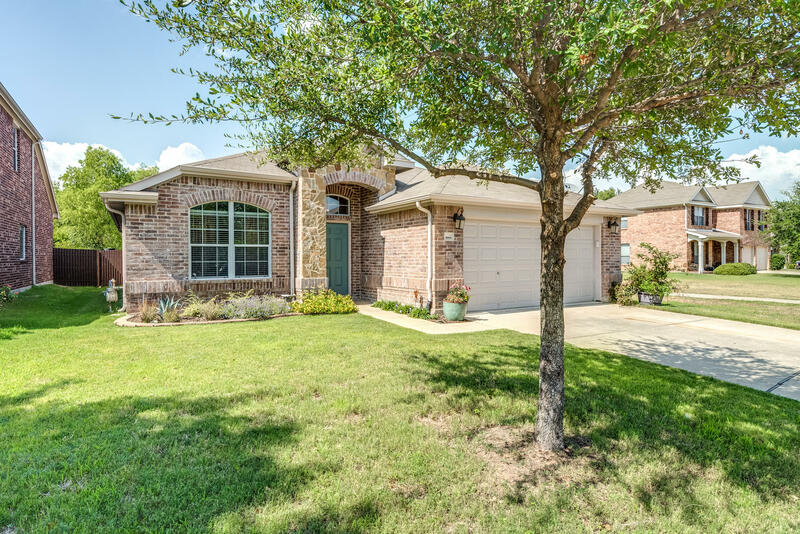 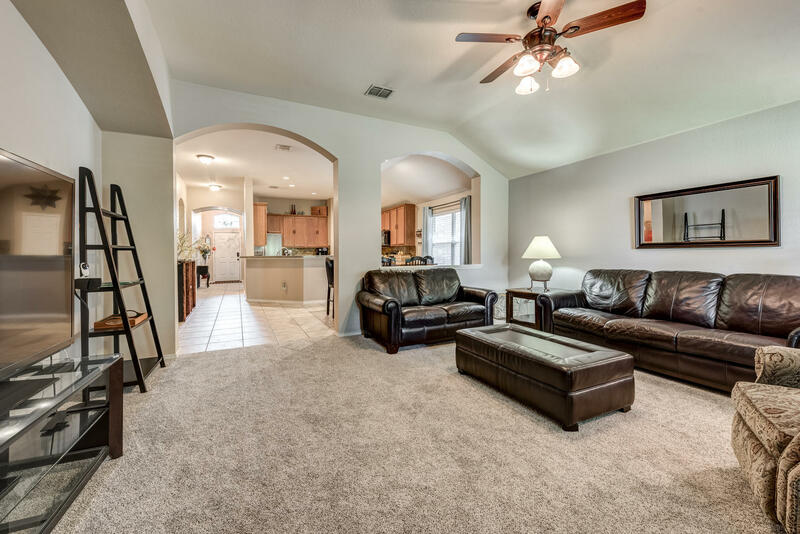 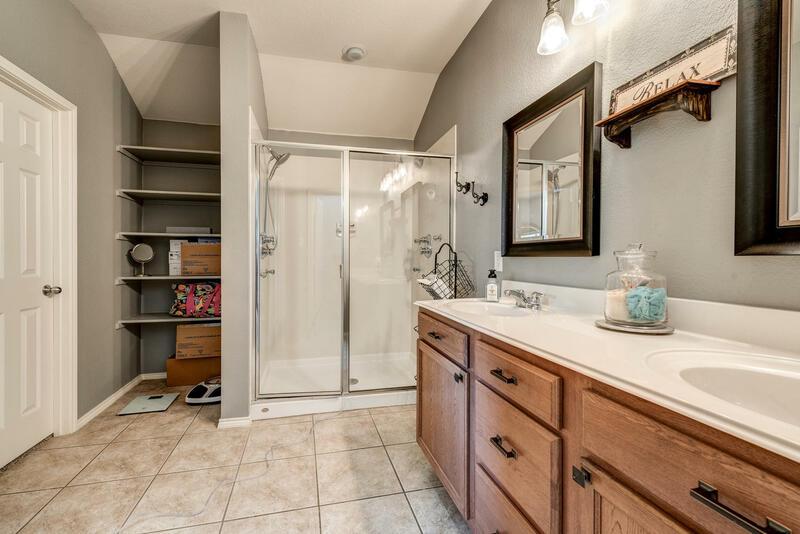 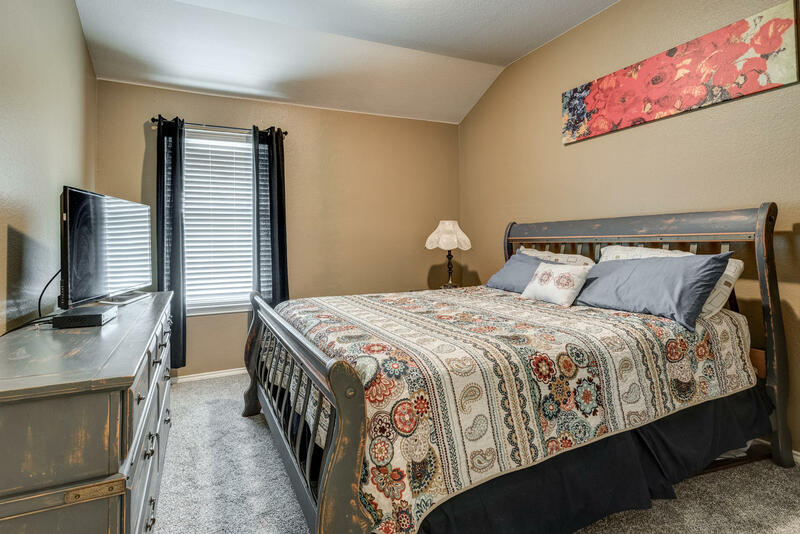 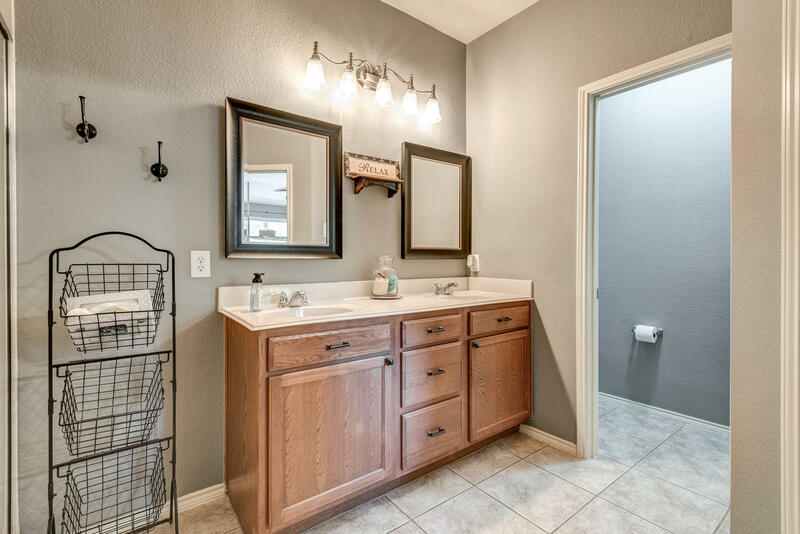 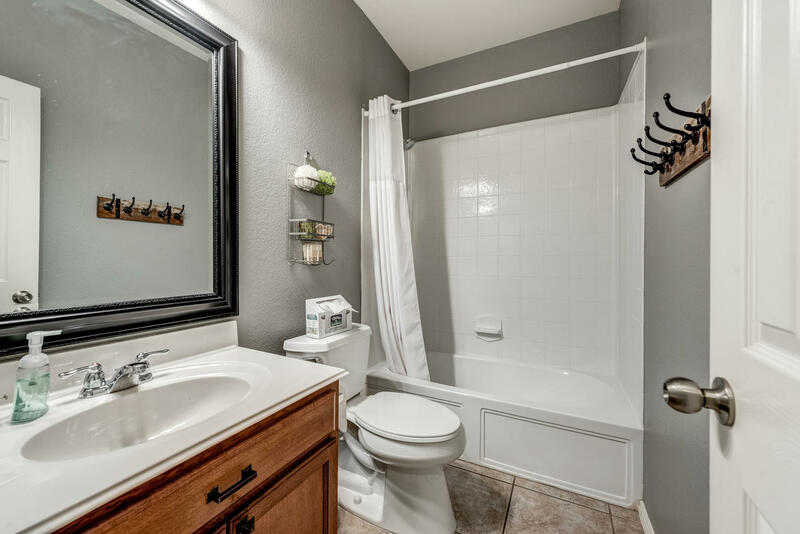 Situated adjacent to the greenbelt and creek, this one story home is located in the sought after Chadwick Farms community and award winning Northwest ISD. 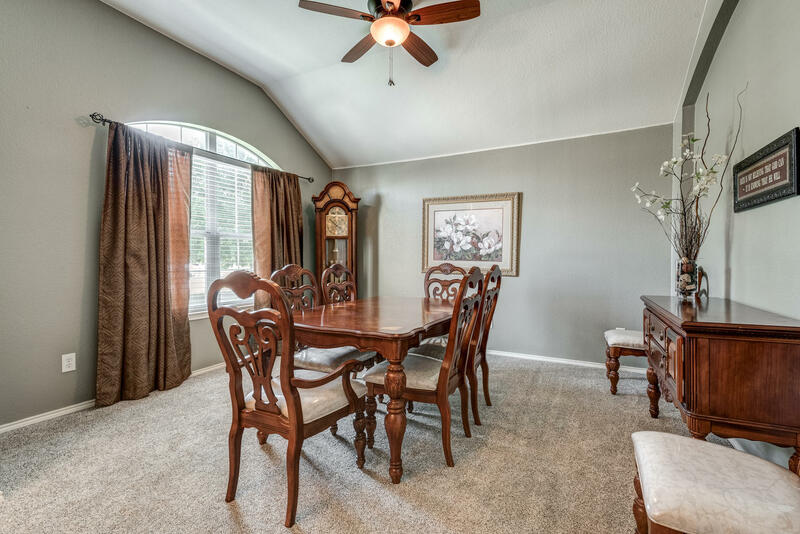 Home is moments away from shopping, dining, and highways. 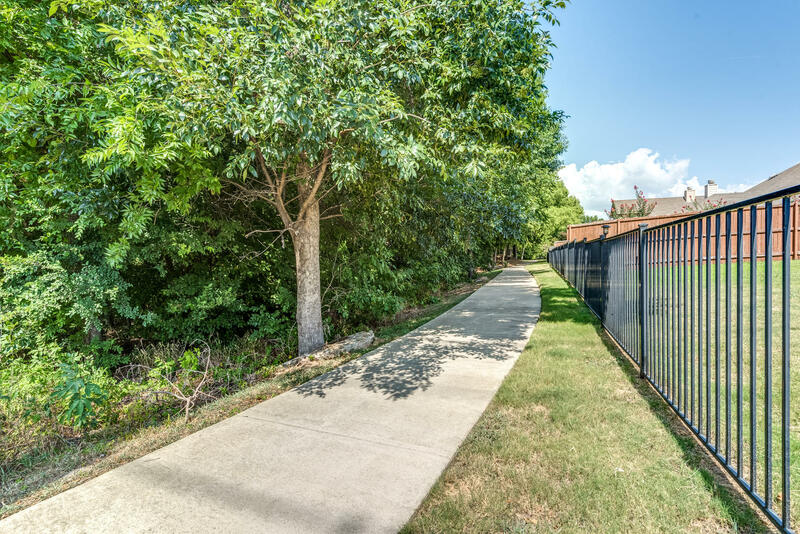 Community amenities include pool, park, playground, and greenbelt. 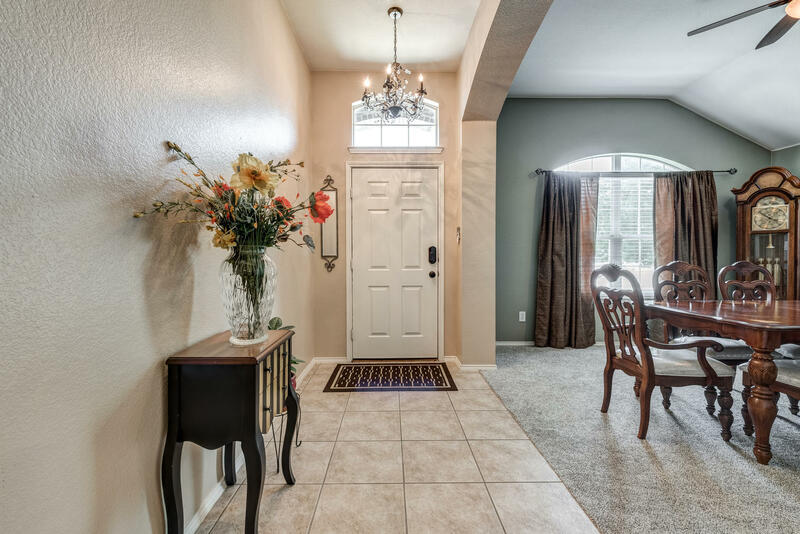 Upon entry you'll be greeted with an open floor plan, tall ceilings, and generous living spaces. 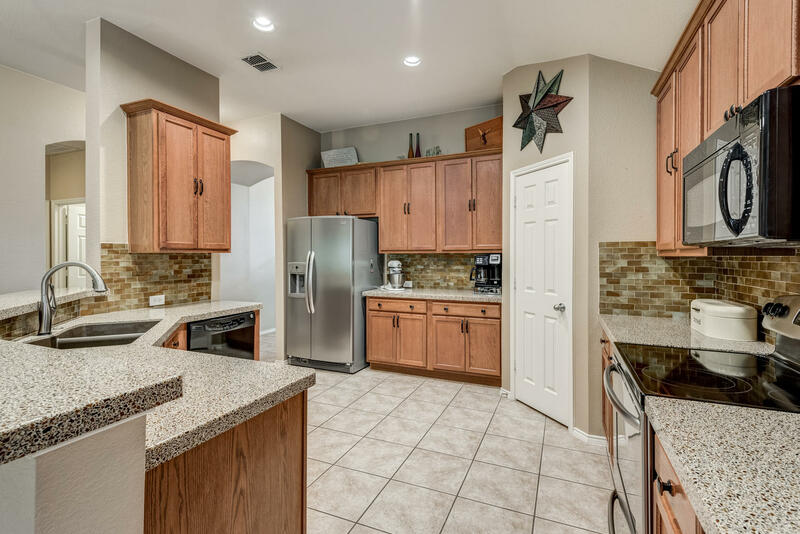 The spacious kitchen boasts stainless steel appliances and plenty of cabinet space. 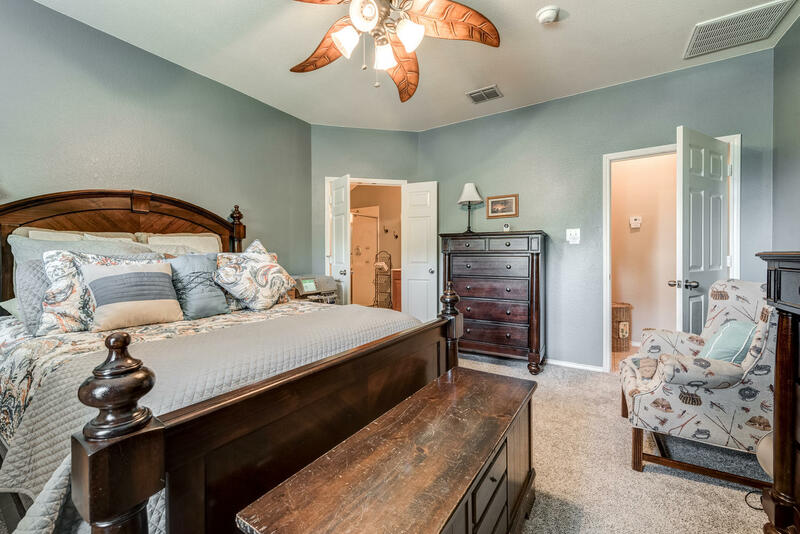 The master bedroom suite is split from other bedrooms. 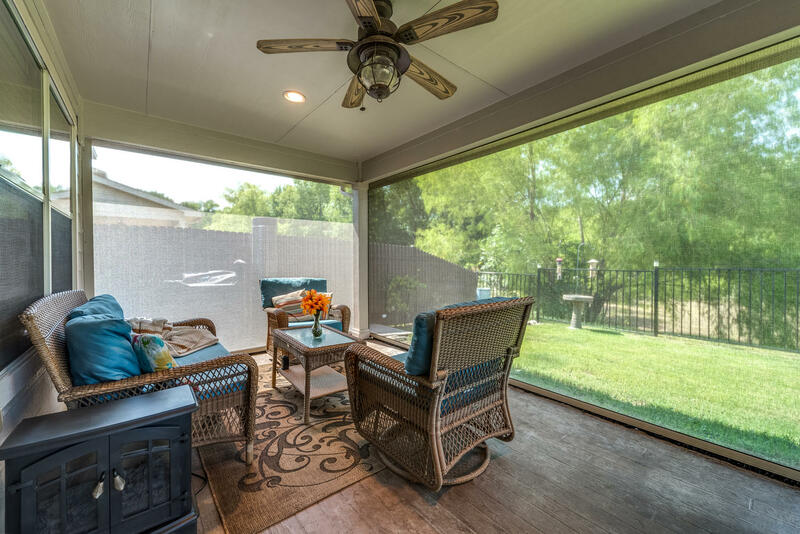 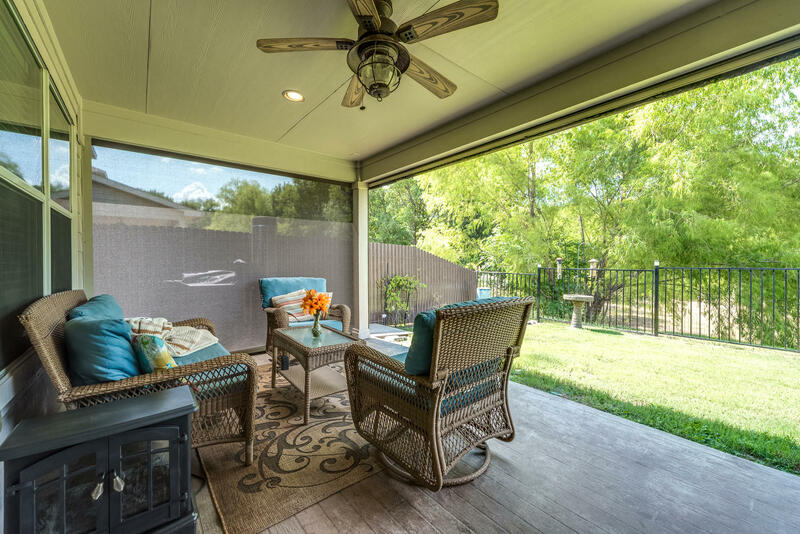 Grounds are ideal for entertaining with a covered patio and shade enclosure for sunny days. 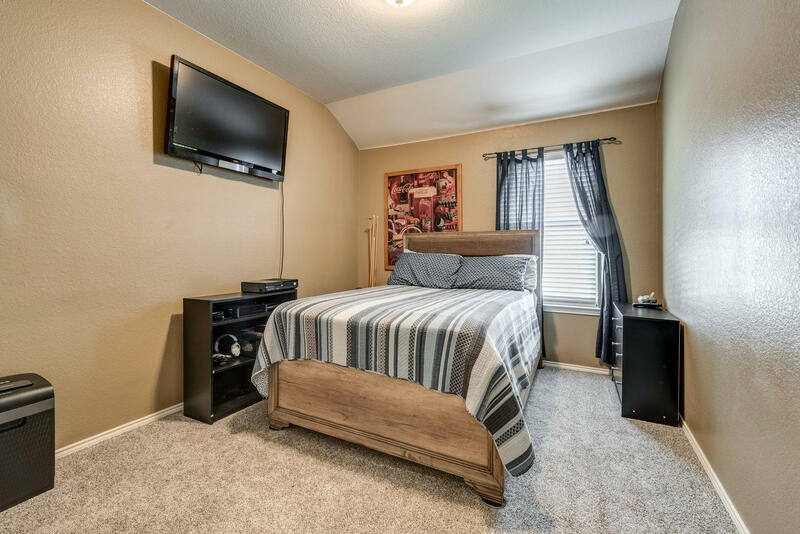 Highlights include recent paint, recent carpet, fence with lifetime warranty (maintenance free), and recent landscaping.